I murder my own drawings. I don’t mean to do it but I can’t help myself. I either work them to death or I lose faith in them and they die of neglect. Either way, most of my time seems to be spent working on things that never become finished works of art that anyone will ever see. It’s disheartening to spend so much time and to have so little to show for it. I tell myself that all this effort is an investment for future, and as yet unimagined, works of art. I do hope so. Here are some dead drawings. Some of them might just be resting. The common link with all of these works is that they all have something to do with Margate (my home town). 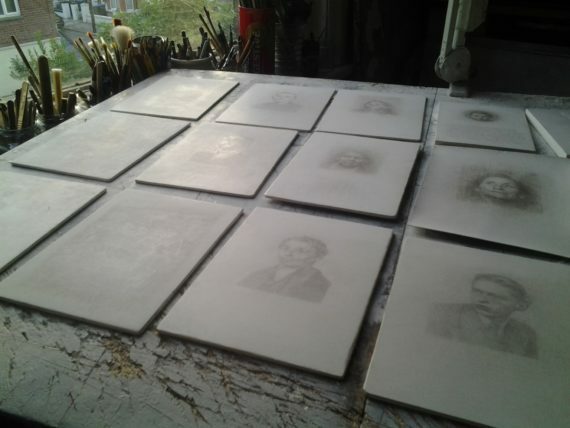 Some of the drawings of heads are based on tiny photographs found in a junk shop in Margate. They were taken in Germany in the 1930s and 1940s. 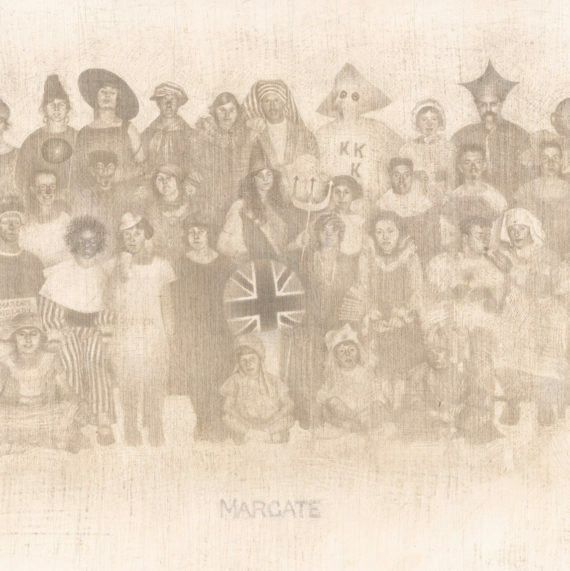 I’m gradually building a body of work about people and moments which have Margate as their meeting point. In these drawings I’m resurrecting some discarded traces of people’s lives. These people were alive in Germany in the 1930s and early 1940s. But what can we imagine about someone from the way they look? Drawings take time. To draw something is to pay careful attention to its presence and to create a new trace of its presence. We change our minds as we draw. The outcome is always unpredictable. I don’t know if I’ve quite lost faith in these drawings just yet, not quite. There is still hope. Perhaps it’s just the hope of hope but that will have to do.